On the surface, getting an estimate for a move seems fairly straightforward. You just contact a local moving company, answer some questions about the amount of belongings you have and how far they have to go, and get your estimate. But if your guess about the weight or size of your belongings is off, you could wind up paying a lot more than your original budget. 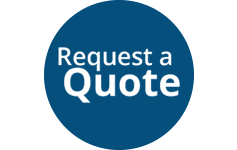 To make sure you get the most accurate quote possible, it’s best to find a moving company that provides on-site estimates. Trying to figure out how much your belongings weigh is difficult without extensive experience in the industry. 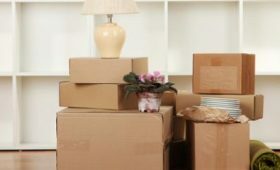 Some moving companies ask for an estimated weight of your belongings, while others base their quote on the size of your household. But these estimates don’t take into account especially heavy items or those households that have a minimalist approach when it comes to possessions. With an on-site estimate, the moving company will send an experienced professional to your house to see everything that will have to be moved. Instead of trying to guess how much space you’ll need or how much your belongings weigh, your mover will measure your furniture and collect the information for themselves, allowing them to give you the most accurate quote possible. They might also be able to help you decide which items you can pack yourself and which deserve professional treatment. For more than 25 years, Hawaiians have turned to Honolulu’s WestPac International, one of the premier moving companies in the state. Whether you’re moving across the island or to the other side of the world, they’ll give you individualized attention and help take the stress out of relocating. If you’re looking to schedule a move, visit their website to learn more about their services. Call (808) 845-9711 to schedule your comprehensive on-site estimate today.